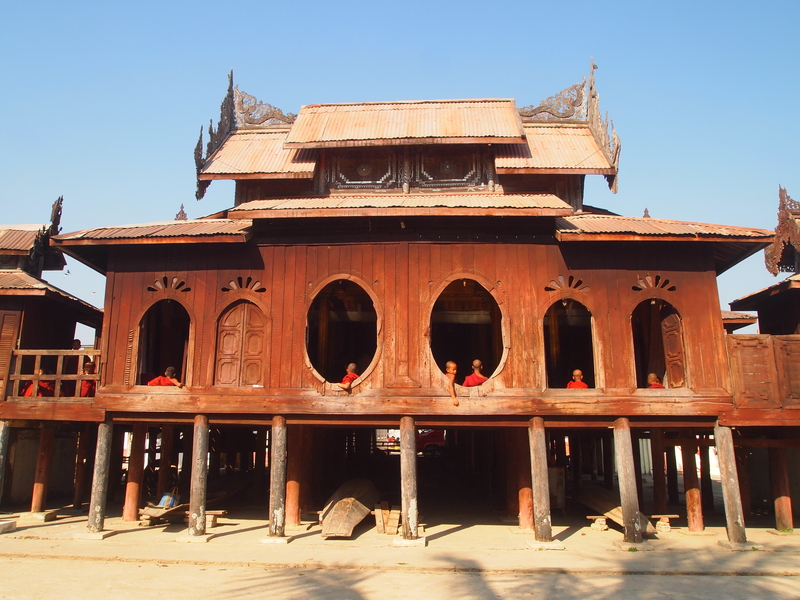 Wednesday, February 25: This is a sad morning, as I leave the Inle Lake area at 9 a.m. for Yangon, my final destination in Myanmar. My plane actually doesn’t depart Heho airport until 5:00 p.m., but I’ve arranged a driver to take me to Pindaya for the day and then directly to the airport. 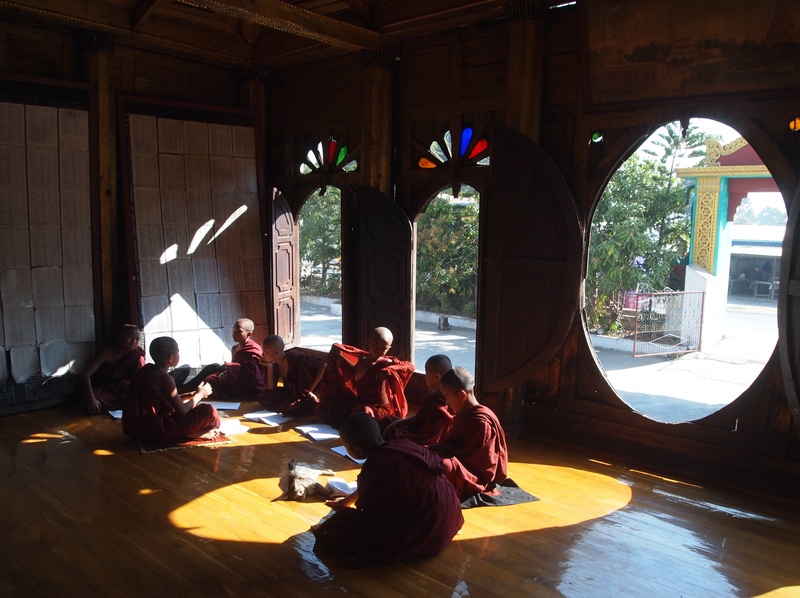 On the way out of Nyaungshwe, the driver stops at what is considered the most photographed monastery in Nyaungshwe: Shwe Yaunghwe Kyaung. 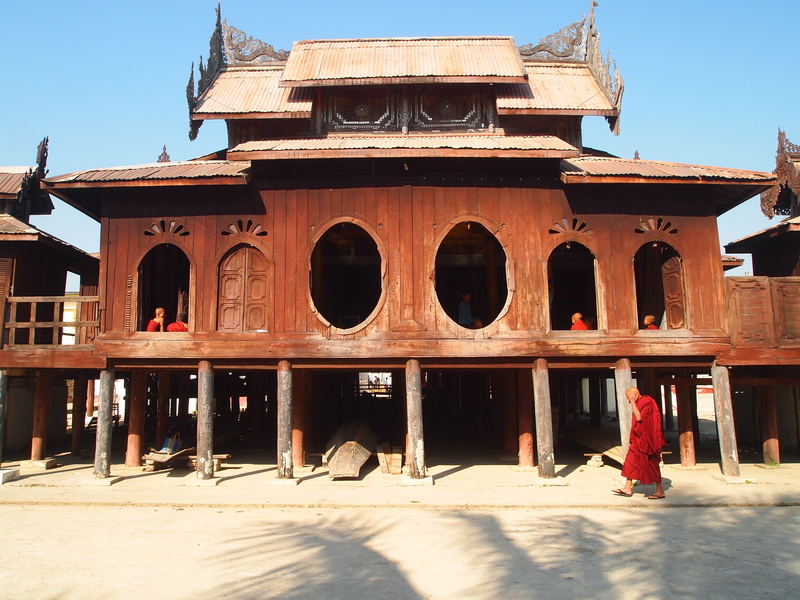 With its ancient teak ordination hall, or thein, and its oval windows offering a peek at the novice monks, it’s quite charming. 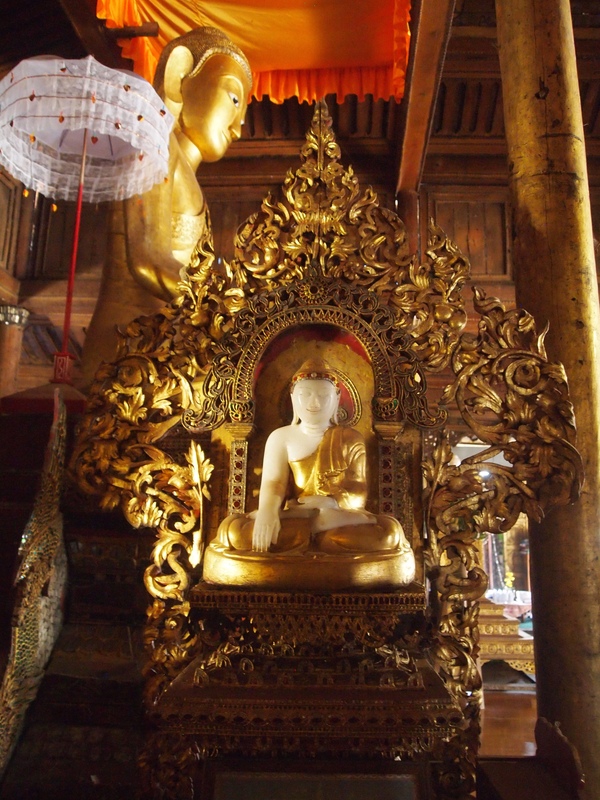 I pay the driver 55,000 kyat (around $55) to take me for the entire day. 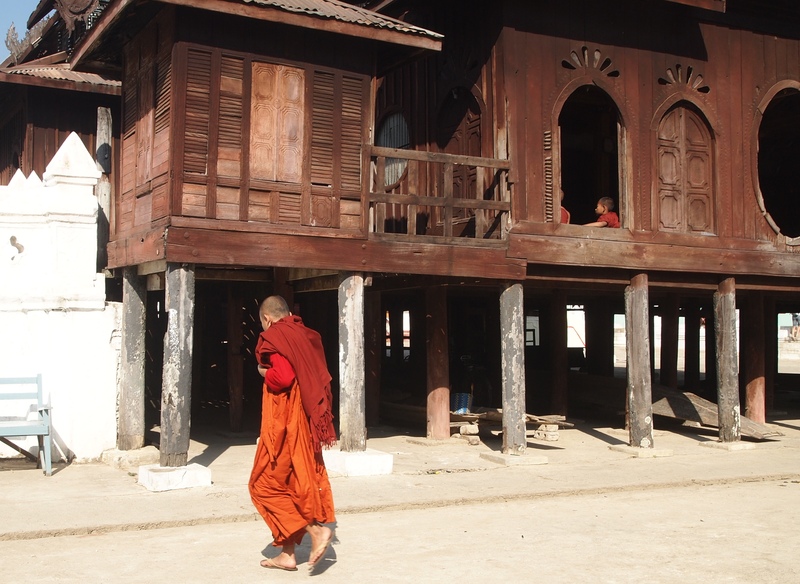 After walking around this ancient monastery, I get in the car with the driver. The hotel has estimated it will take 2 1/2 hours to get to Pindaya, and then 1 1/2 hours from Pindaya to Heho Airport. It actually only takes two hours to get to Pindaya, and we pass Heho Airport after the first hour, meaning it will take only 1 hour to get back to Heho. On our drive, we pass through one of the most densely farmed areas in Myanmar, with a patchwork of dried fields and red clay. We pass an umbrella-making factory and a cattle market. There isn’t that much to see on the drive. 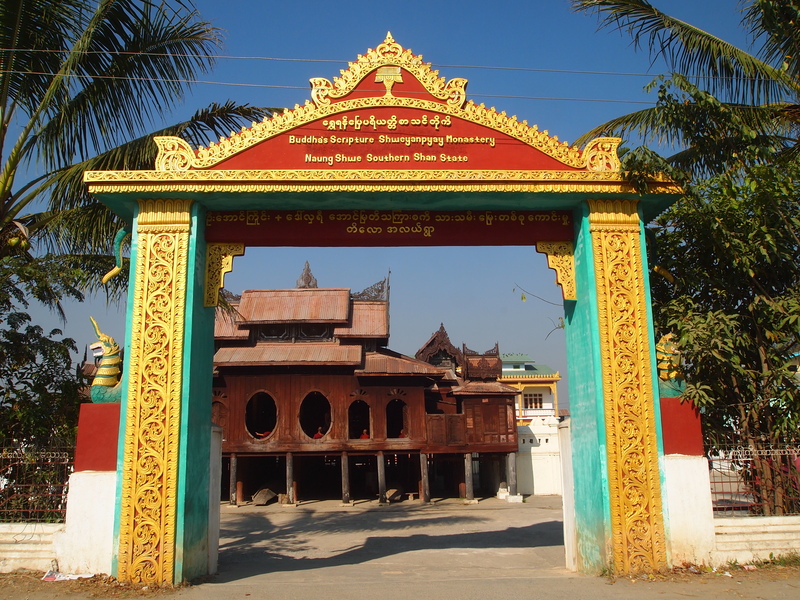 For some reason, the driver’s steering wheel is on the right and in Myanmar, cars drive on the right; this makes it hard for the driver to see around cars in front of him to pass. During the long drive, where there seem to be no facilities whatsoever, I have to ask the driver to pull over at one point so I can pee behind a tree. It’s pretty embarrassing because a few cars drive by, and the tree isn’t big enough that it totally hides me. Oh well, this is life in the 3rd world. I’m sure people do this all the time out here in the middle of nowhere. 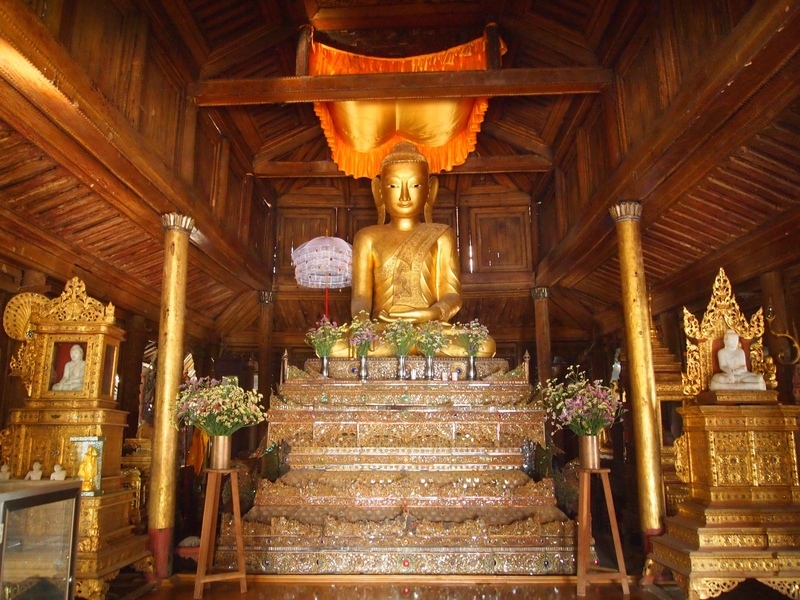 At 11:00, we arrive at our destination, the famous Shwe Oo Min Natural Cave Pagoda, a massive limestone cave brimming with thousands of gilded Buddha statues. A girl’s got to do what a girl’s got to do! 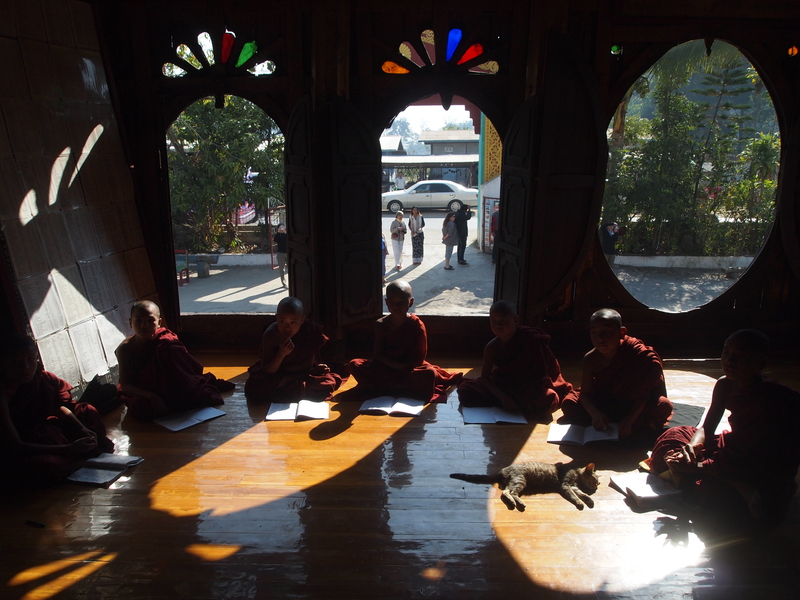 I loved the cat just basking in the sunshine as the monks studied! 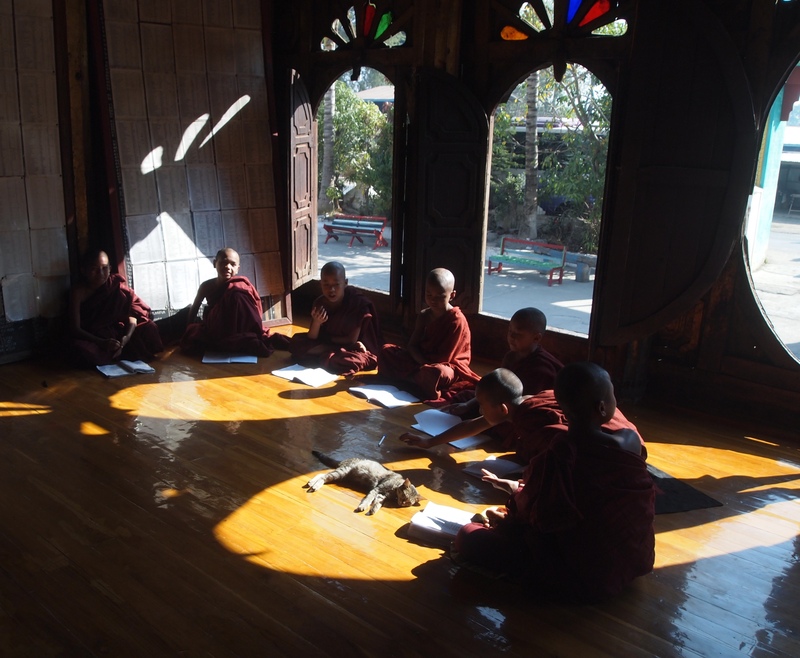 No matter how many times I see these photos of the daily lives of monks it makes me smile, Cathy. I tactfully averted my gaze for you 🙂 🙂 Countdown and packing time!